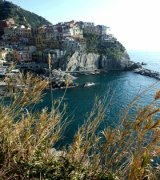 Welcome to LiguriaGuide.com! 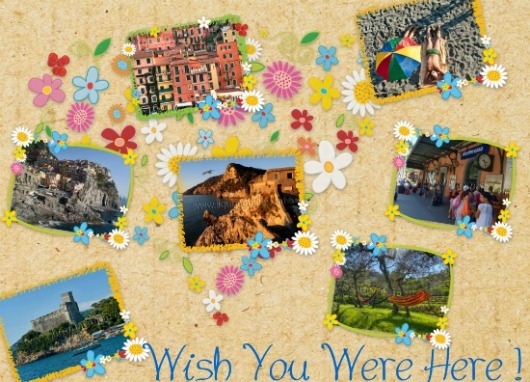 Use our guestbook below to share your questions, comments or opinions of the site and about Liguria. If you are just passing through, leave us a greeting! 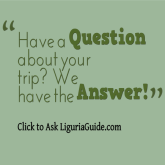 Do you have a question about your own forthcoming trip to Liguria? Do you need more information? Ask your question here and we will do our best to answer it as soon as possible. and/or get answers if their questions are similar. There is no registration or password. Everyone is welcome to contribute! Or if you have any questions that might be too personal or too specific to be of interest to others, please use this private contact form instead. To view the online responses scroll down. If you need help, click on the blue question marks for instructions. Where is the main entrance to Andrea Doria Castle in Portovenere? What is the phone number for Lerici Port? How easy is it to walk from La Serra to Lerici ? How to get to Lerici Castle from the main Piazza of Lerici?